Does it whistle in the wind? 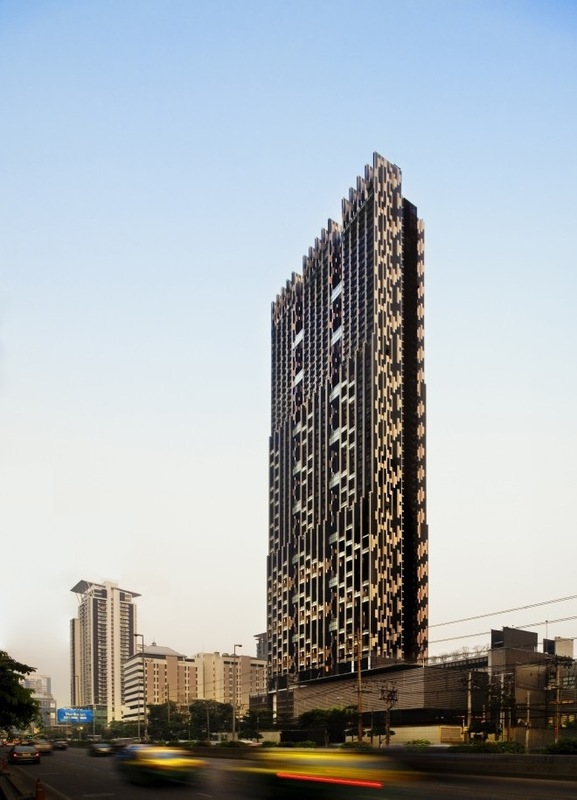 Completed in 2009, Bangkok’s 66-story Met Tower is an attempt to build an apartment complex uniquely suited to its surroundings, rather than adapting temperate techniques to a tropical location. WOHA Architects did this by incorporating elements of more traditional tropical housing, and the results have been shortlisted for Aga Khan’s 2013 Award for Architecture. The perforated 748-foot structure is actually six columns connected by breezeways that promote cross ventilation — each unit is exposed on all four sides. The facade is inspired by traditional Thai architecture and materials, with shade and vegetation screens reaching all the way to the top. Cool! Hopefully in all the right ways. This entry was posted in Art, Technology and tagged Architecture, Bangkok, Building of the week, The Met, Wired by Sci Fi Engineer. Bookmark the permalink.